Cold winter days are in the distant memory and warm summer days are ahead of us. It is time to get your garden ready for outdoors. Here is a check list for you to get your garden ready. Do the spring cleaning of your garden. Winter leaves lot of debris on the garden. This includes dead branches, leaves and accumulated rubbish. Some of it can go to your compost pit if you are into it. Get rid of weeds. Weeds are our nightmare. You need right tools including trowels to get rid of many weeds. Weeds with deeper roots may need help of a hoe to dig them out. It is also time for you to loosen your soil while removing weeds. Fertilize. In order to get a bumper crop of blooming flowers and vegetables you need to add fertilizer to the soil. You can use organic fertilizer mixes or chemical fertilizer from your home store to fertilize and prepare your soil. Establish borders. Line between the lawn and your garden creates the impression of a well-kept yard. 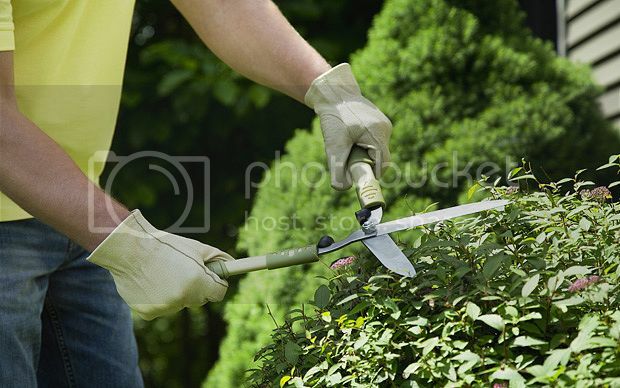 Use your edger or a half-mooned spade to create a separation. In certain areas creating permanent edges with stone, brick or timber add more to your garden.